An arrest warrant was issued for MS Carnival Triumph yesterday after a judge ordered she be held because of a $10 million lawsuit which has been filed by the family of a German tourist who sadly died aboard the Costa Concordia. Until the official hearing Carnival Triumph will be allowed to offload passengers and move between berths within the port but go no further. The ship was due to sail today on a 5-night Western Caribbean itinerary. The impounding of Carnival Triumph is yet another blow for the cruise industry as a whole and it seems the current “cruise ship run of bad luck” is still keeping a firm grip. 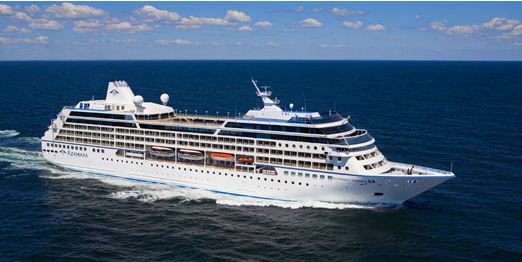 The 30,000 ton luxury cruise ship, Azamara Quest (which is owned by RRCL) had an incident yesterday in which a fire broke out in the engine room. The captain had ordered all passengers to their muster stations but it was not necessary to evacuate the ship. Crew are still working on restoring full propulsions and she is currently running on back-up generators.